VenueMagic 2.1 supports an ever-growing list of popular DMX512 interfaces. If you don’t see yours on this list, shoot us an email at support@venuemagic.com and we’ll see what we can do about adding it in. This interface was developed by Entertainment Sciences Group, Inc. to be sold as an option with the VenueMagic Show Control Software. It will control 512 DMX channels (1 universe) and is functionally equivalent to the ENTTEC Open DMX USB. Works for DMX output only (no input). For more information, click here. 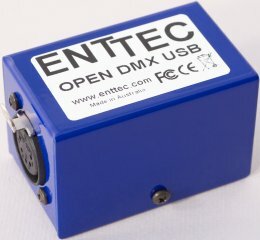 Manufactured by ENTTEC (www.enttec.com), this low-priced DMX interface will control 512 DMX channels. It has proven to be very reliable when used with the VenueMagic software. It has no DMX input capability when used with VenueMagic. 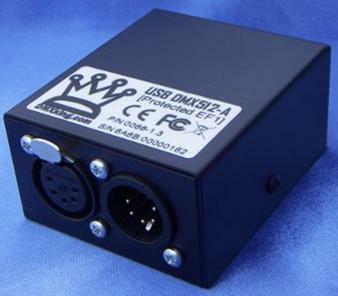 The Open DMX USB will appear as “USB Serial” or “FT232 USB UART” device in the VenueMagic device setup. Driver included with VenueMagic installation. Also manufactured by ENTTEC (www.enttec.com), the Pro offers more features than the Open DMX USB, including optical isolation and DMX input, which VenueMagic can use. DMX input and output cannot be used at the same time. Also manufactured by ENTTEC (www.enttec.com), the Pro Mk2 offers more features than the Open DMX USB, including optical isolation and DMX input, which VenueMagic can use. Popular in Europe (www.dmx4all.de). DMX4ALL supports 512 channels of DMX output (no input). DMX4ALL may appear twice in the VenueMagic device setup window, as “DMX4ALL” and as “USB Serial” (or something similar). Select the DMX4ALL device for it to work properly. Also, enabling the DMX4ALL in the Supported Devices window will slow down device initialization (which occurs at VenueMagic startup and when changes are made in the Setup Devices window) if there are multiple USB-Serial devices plugged into your computer. 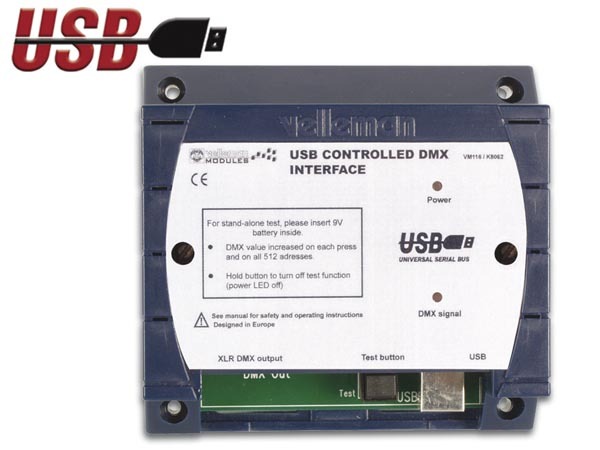 The Velleman interface (www.vellemanusa.com) provides 512 channels of DMX output (no input). Only one Velleman interface can be connected to your computer at a time. The VenueMagic installation does not include the Velleman drivers so they must be installed from the VM116 driver disk. VenueMagic incorporates the Artistic Licence Artnet (www.artisticlicence.com) library to provide multi-universe (# of universes depends on which version of VenueMagic you own) input and output over ethernet. 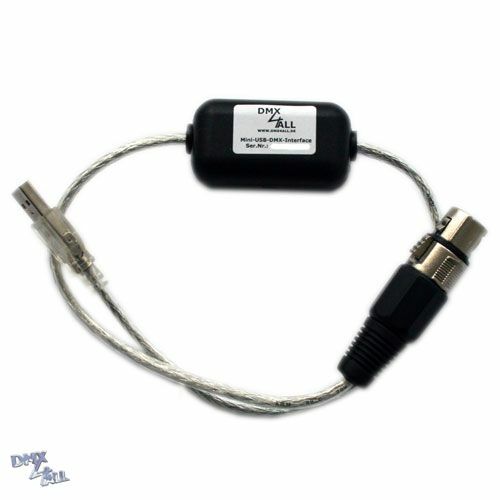 VenueMagic can use this interface to communicate to a variety of ArtNet capable DMX adaptors including the ENTTEC Open DMX Ethernet (www.enttec.com). In Windows Vista and Windows 7 you may need to run VenueMagic with administrator priviledges for Artnet to work properly. This is a characteristic of the Artistic Licence driver. Essentially the same hardware in different packages, these interfaces support a single DMX512 output. 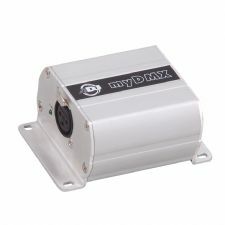 MyDMX is available from American DJ (www.americandj.com). VenueMagic is compatible with the MyDMX Version 1 only. MyDMX 2.0 includes a new adapter which is not compatible. 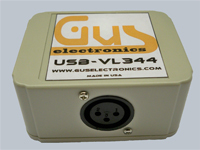 Manufactured by Gus Electronics (www.guselectronics.com), controls 512 DMX channels. No DMX input capability when used with VenueMagic. The USB-VL344 will appear as “USB Serial” or “FT232 USB UART” device in the VenueMagic device setup. Driver included in VenueMagic installation. 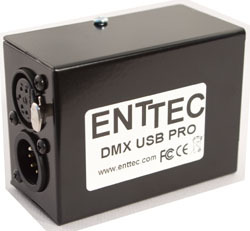 The DMXKing (www.dmxking.com) USB DMX512-A is 100% compatible with the ENTTEC USB Pro (shown above).